From the year of 1989,NIC shows have been growing and enlarging a famous event of its kind in international nuclear industry sector. 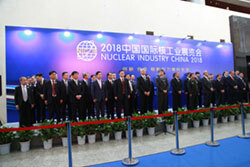 The former China's President Jiang Zemin, Chairman of NPC Zhang Dejiang ,Chairman of CPPCC Jia Qinglin and Ma Kai, Vice Premier have visited the show. 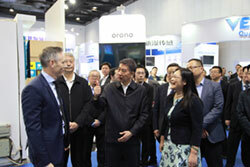 NIC show is unrivaled nuclear event in terms of key contacts,organization and presentation in China. Attending NIC event has many benefits for you and your company on raising awareness of the company and the products,finding leads from end users and prospects,creating industry relationships or partnerships.In this event,you could see the latest technology available then. 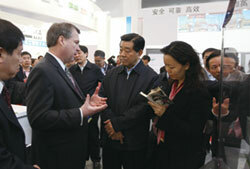 We will have a great China's Pavilion,and these exhibitors covered the all important companies and organizations. These are the end users for our overseas exhibitors to discuss the co-operations and purchase the equipment. 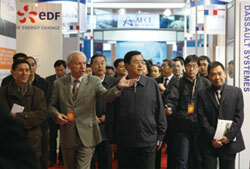 And more we will organize the decision makers,professionals, technical and trade people to attend the show. 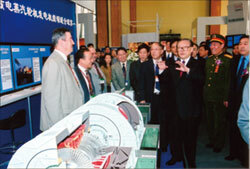 China National Convention Center is one of the best trade show venue in Beijing.